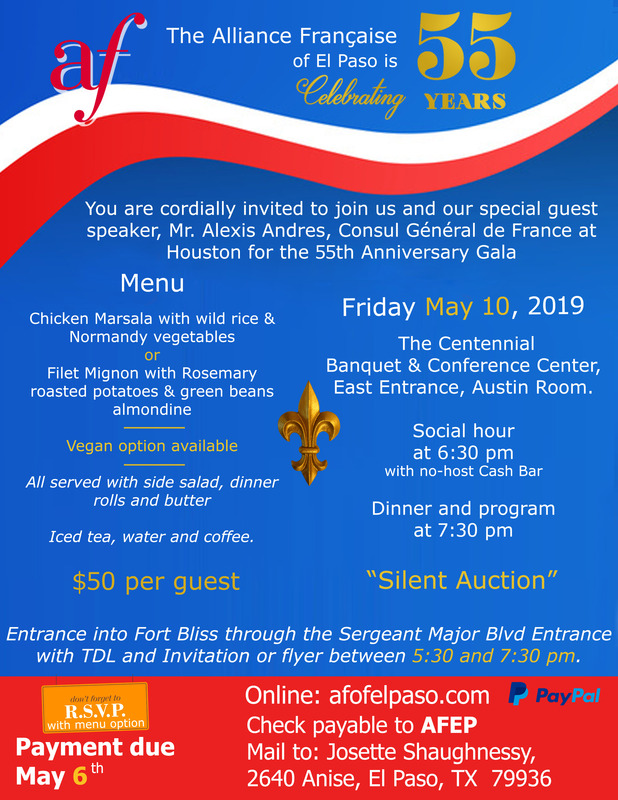 L’Alliance Française d’El Paso is celebrating 55 years — join us for this special Anniversary Gala! Paid reservations by May 6 are a must. You can pay online at the bottom of this page. Adding an item will open a new PayPal window where you can update the quantity of that same item. If you wish to add different items to your cart, please leave the PayPal window open and return to this website to make another selection, you will then be redirected to your PayPal cart again.